Every institution has its own motto to give it a special identity. The motto of Vanasthali Public School is "LIVE AND LET LIVE". The students are taught what makes them noble i.e. not only education, or the colour of the skin, or the race to which they belong but character, which is formed by imbibing certain virtues, which is a long process. Knowledge is a justified true belief. Belief in a proposition is justified if it is developed though a process that reliably yields truth. It is appropriately caused by the fact that it would generally not be held if it were false. The students of VPS are taught to always "Look up", i.e to look up to God for help, strength and reassurance through hard work. Every Vanasthalian, be it a student or a teacher, has to set for him/her self high standards, goals and aspirations in all spheres of life. 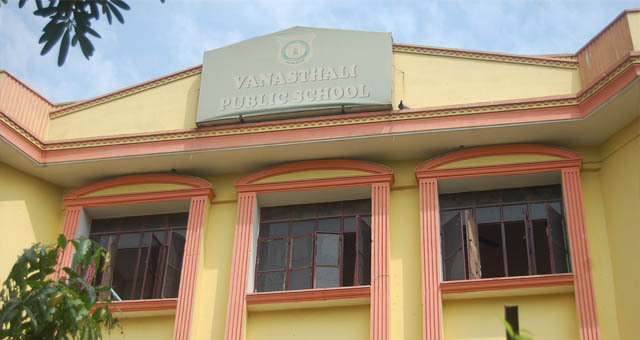 We have named our school 'Vanasthali Public School', after great deliberations. "Arise , Awake and stop not till the goal is achieved" is the mission of our school, as we at VPS inculcate moral values and teachings of great saints.